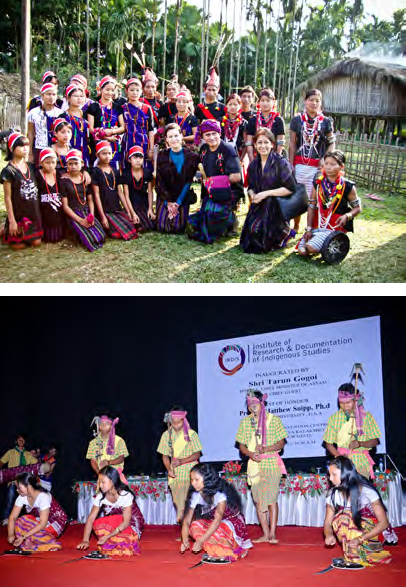 The mosaic of ethnic communities/tribes that co-exist and enrich the hills and the valleys of Assam culturally and socially carry with them an abundance of history, indigenous knowledge and human values. IRDIS is reaching out to them to hold hands and tread the common path to achieve a common goal. IRDIS in partnership with the diverse ethnic peoples of the State of Assam and through its research and documentation initiatives strive for the empowerment of these communities and create a data bank of priceless Indigenous knowledge. The Tea and Ex-Tea community in Tinsukia, Dibrugarh, Jorhat, Sibsagar, Golaghat, Nowgong, Morigaon, Sonitpur, Darrang, Lakhimpur, Kamrup, Goalpara districts. The Amre Karbi in Sonapur in Kamrup district and in Meghalaya. The Thengal Kachari in Jorhat district. The Mising community in Lakhimpur and Dhemaji districts. The Deuri community in Lakhimpur district. The Karbi community in Karbi Anglong district. The Rabha Hasong community in Goalpara district. The Sonowal Kachari community in Dibrugarh district. The Chutia Community in Golaghat, Jorhat, Sibsagar, Dibrugarh, Tinsukia, Lakhimpur, Dhemaji, Nowgong, Marigaon, Darrang districts.